The ever popular Ray-Ban RB2132 is one of our best selling sunglasses and we believe our standard selling price is a great one! To illustrate this we have compared the prices of several leading online eyewear retailers and below you can verify the savings claim of each of the sites we compared on 05.01.2015 by viewing a screen shot of their website . 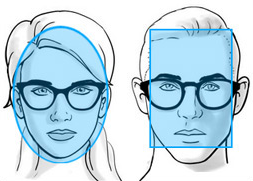 The product compared is exactly the same model sold by all 5 retailers mentioned in this advert, no difference in lens technology or frame material. The product is supplied with a case, cleaning cloth and Ray-Ban presentation box as standard. The prices quoted do not take into consideration delivery, freight or postal charges. 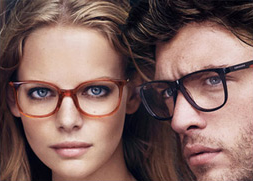 The five retailers compared in the advert are leading UK retailers that specialise in retailing eyewear products. Note: The savings claim evidence can be enlarged by clicking on the image. This image is made up of a screen shot of the BBC news website showing the date and time to prove that the comparison was actually made on the 05.01.2015. 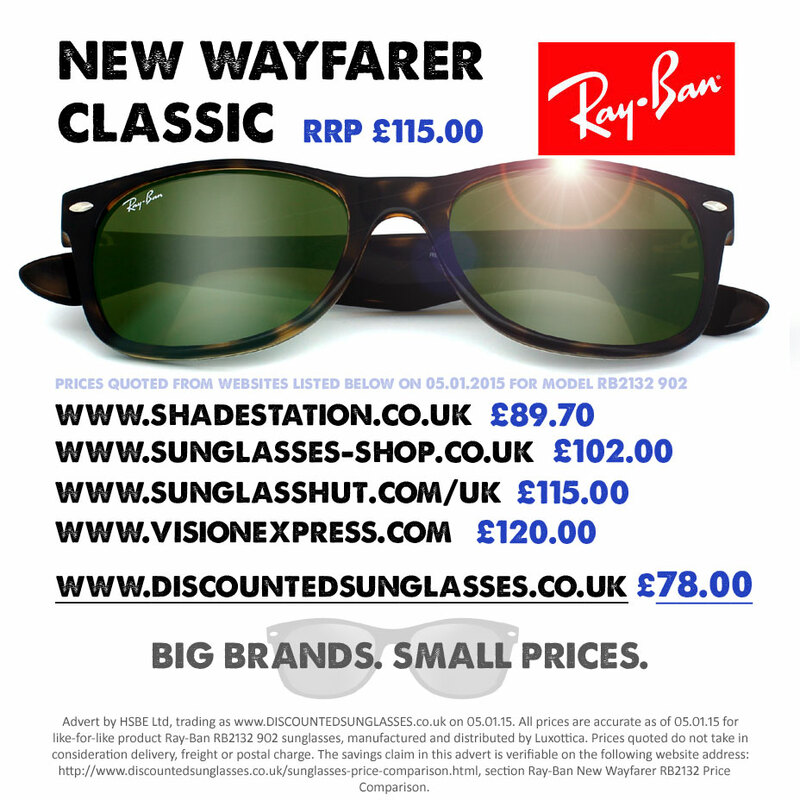 The second part of the image is Shade Stations website page selling Ray-Ban RB2132 New Wayfarer, colour 902 and clearly shows the selling price of ?89.70. The company compared is Shade Station and the comparison was made from their website on the 05.01.2015. The RRP for Ray-Ban model RB2132 is ?115.00 and the advertised selling price by Shade Station is ?89.70. The saving for the customer is ?25.30. Note: The savings claim evidence can be enlarged by clicking on the image. This image is made up of a screen shot of the BBC news website showing the date and time to prove that the comparison was actually made on the 05.01.2015. The second part of the image is Sunglasses Shop website page selling Ray-Ban RB2132 New Wayfarer, colour 902 and clearly shows the selling price of ?102.00. The company compared is Sunglasses Shop and the comparison was made from their website on the 05.01.2015. The RRP for Ray-Ban model RB2132 is ?115.00 and the advertised selling price by Sunglasses Shop is ?102.00. The saving for the customer is ?13.00. Note: The savings claim evidence can be enlarged by clicking on the image. This image is made up of a screen shot of the BBC news website showing the date and time to prove that the comparison was actually made on the 05.01.2015. The second part of the image is Sunglass Hut website page selling Ray-Ban RB2132 New Wayfarer, colour 902 and clearly shows the selling price of ?115.00. The company compared is Sunglass Hut and the comparison was made from their website on the 05.01.2015. The RRP for Ray-Ban model RB2132 is ?115.00 and the advertised selling price by Sunglass Hut is ?115.00. The saving for the customer is ?00.00. Note: The savings claim evidence can be enlarged by clicking on the image. This image is made up of a screen shot of the BBC news website showing the date and time to prove that the comparison was actually made on the 05.01.2015. The second part of the image is Vision Express website page selling Ray-Ban RB2132 New Wayfarer, colour 902 and clearly shows the selling price of ?120.00. The company compared is Vision Express and the comparison was made from their website on the 05.01.2015. The RRP for Ray-Ban model RB2132 is ?115.00 and the advertised selling price by Vision Express is ?115.00. The saving for the customer is minus (-) ?5.00. Note: The savings claim evidence can be enlarged by clicking on the image. This image is made up of a screen shot of the BBC news website showing the date and time to prove that the comparison was actually made on the 05.01.2015. The second part of the image is Discounted Sunglasses website page selling Ray-Ban RB2132 New Wayfarer, colour 902 and clearly shows the selling price of ?78.00. 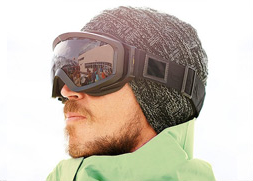 The company compared is Discounted Sunglasses and the comparison was made from their website on the 05.01.2015. 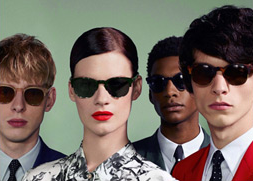 The RRP for Ray-Ban model RB2132 is ?115.00 and the advertised selling price by Discounted Sunglasses is ?78.00. The saving for the customer is ?37.00.